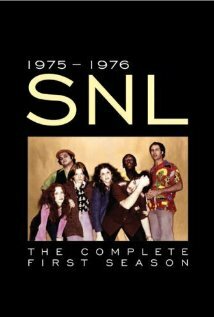 A late-night comedy show featuring several short skits, parodies of television commercials, a live guest band, and a pop-cultural guest host each week. Many of the SNL players have spun off successful independent comedy and/or movie careers from here. 25 October 1975 - Season 1, Episode 3: Rob Reiner/"Joe Cocker"
21 February 1976 - Season 1, Episode 14: Desi Arnaz/Desi Arnaz, Jr.
16 November 1985 - Season 11, Episode 2: Chevy Chase/Sheila E.
13 January 1990 - Season 15, Episode 10: Ed O'Neill/Harry Connick, Jr.
13 April 1991 - Season 16, Episode 17: Catherine O'Hara/R.E.M. 11 December 1993 - Season 19, Episode 9: Sally Field/Tony! Toni! Tone! 12 November 1994 - Season 20, Episode 5: Sarah Jessica Parker/R.E.M. 11 December 1999 - Season 25, Episode 8: Danny DeVito/R.E.M. 13 April 2002 - Season 27, Episode 17: The Rock/Andrew W.K. 20 April 2002 - Season 27, Episode 18: Alec Baldwin/P.O.D. 13 March 2004 - Season 29, Episode 16: Ben Affleck/N.E.R.D. 06 December 2008 - Season 34, Episode 10: John Malkovich/T.I. 03 November 2012 - Season 38, Episode 6: Louis C.K./Fun.